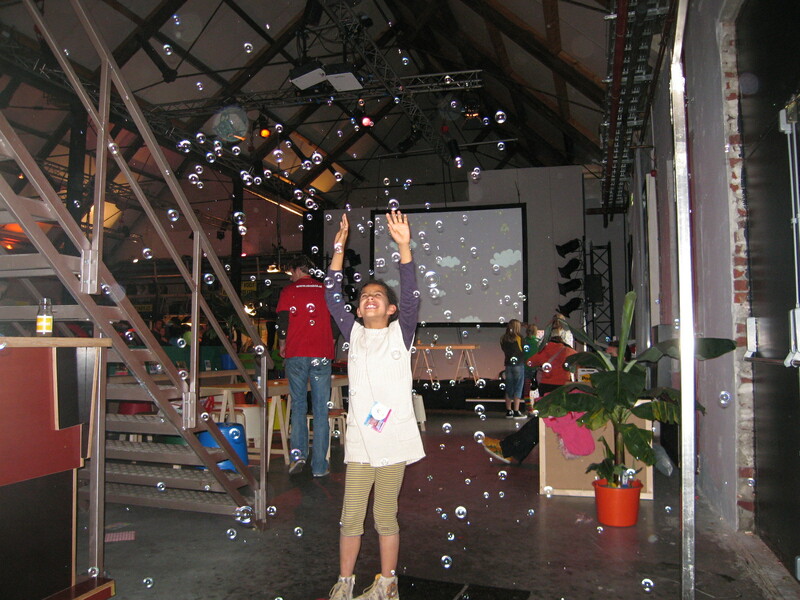 For the Cinekid festival Levien Nordeman and I created a fun installation: a large plastic mobile phone that, when you called the phone number displayed on its screen, would blow soap bubbles for 30 seconds. 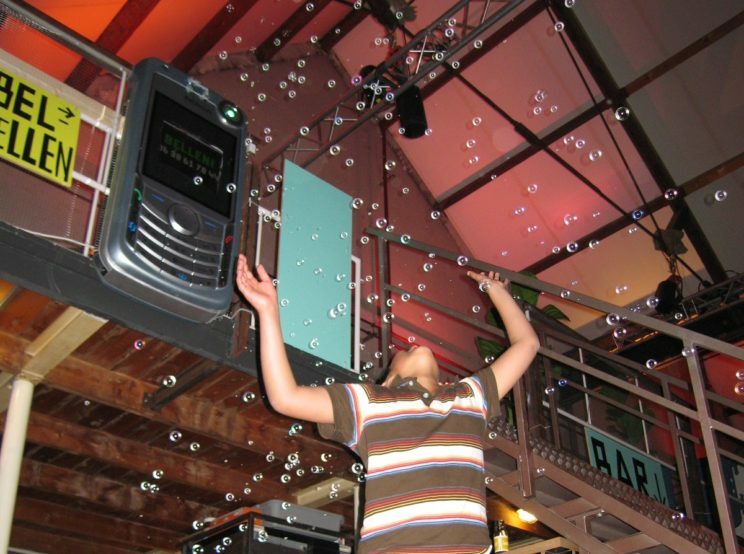 The project is a pun on the fact that in Dutch the words “phoning” and “bubbles” are the same. It also refers to the ethnographic research we were reading at the time about how people create/assume a bubble of private space when on a phone, even when in public space. Our thanks to Cinekid, and to the people at Nokia’s Dutch headquarters who donated the large plastic phone.